Be taught by an experienced instructor in an “at-home” atmosphere. The first cooking class of its kind in Tokyo! 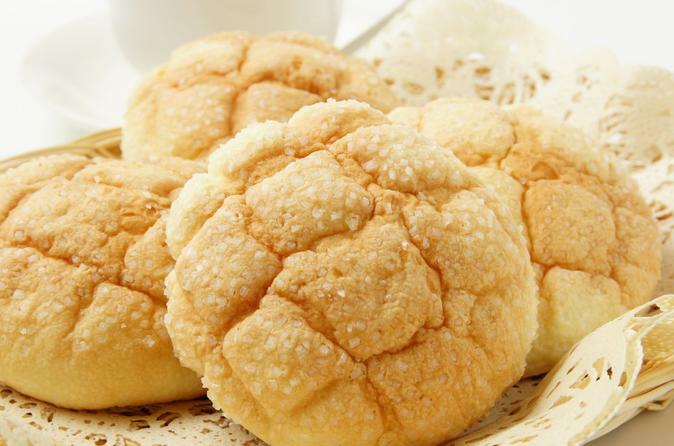 If you aren’t familiar with these classic Japanese bakery best-sellers, you’re in for a treat! “Melon bread” (メロンパン/meron pan) combines a light and fluffy bread filling with a cookie-crust exterior to create a sweet melon-shaped bun. Whereas “curry bread” (カレーパン/kare pan) is a savory favorite consisting of delicious Japanese-style curry wrapped in fluffy dough, covered in breadcrumbs and deep fried. Teaching you how to cook these popular breads will be your friendly host, Miki WATANABE. With years of experience as a cooking instructor (just ask to see her book), even beginners will find her lesson easy to follow. As a frequent traveller, Megumi knows it can be difficult to find the ingredients you want in other countries, and has tips on hand to help you recreate the recipes back home. At the end of the lesson you’ll have the chance to tuck into your freshly baked breads and swap stories with your host. (You can take them home, too!) This highly requested cooking class is the first of its kind in Japan and we promise you will want to bake these delicious breads again and again!